Obstetricians and GP obstetricians are heading a push for machines that go “bing” to replace midwives. What this means is replacing real and dedicated continuity of care, touch, conversations, connections and experts in normal physiological birth with numbers, machines, computer screens and charts that lead to interventions and caesareans. 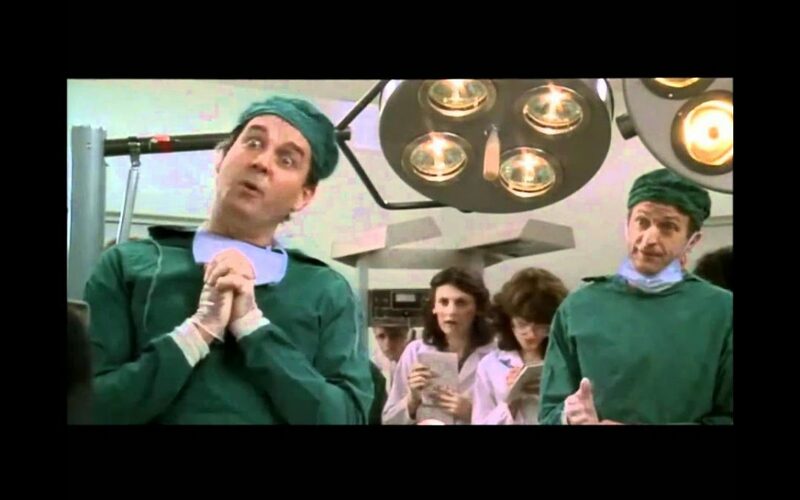 The well-known skit from Monty Python’s “The Meaning of Life” highlights the concerns birth workers and women have if midwives are not the standard. Women will lose the right to choose what kind of birth they want to have. Why don’t we go back to the dark days of “twilight sleep” that still horrify us today with stories of births in a male dominated maternity system where they performed “just another procedure” and had no respect for women, their bodies or their babies. And yes we all know that Obstetricians save lives. We know that in some cases interventions and caesareans are needed in high risk pregnancies or if things deviate from “normal” and I teach this in my classes to ensure that women understand it is not about having a natural birth at all cost, but it is about them feeling confident in asking questions and feeling safe. We are really fortunate to have Obstetricians who are highly skilled surgeons who perform caesareans to save lives – that is their zone of genius. I have been privileged to work with some amazing Obstetricians who have encouraged and respected the woman and her wants and needs and only intervene if a birth truly deviates from normal. They continue to treat women with the utmost respect and courtesy even if the woman declines routine interventions such as inductions, unlike some Obstetricians I’ve also seen who have been demanding and intimidating towards women creating trauma and fear and having no regard for the AMA Position Statement on Maternal Decision Making that say they must respect a woman’s right to choose. Because it will diminish the profits of Obstetricians and hospitals? Because it may provide women with a better way of birthing without interventions and the community will start to question these so-called necessities? Because it may lower the excessively high intervention and caesarean rates in Australia? Because women may suddenly realise that they will experience a higher level of humanism with a midwife? Because the ideology that Obstetricians are the experts might be lost? If members of the Australian Medical Association (AMA) are successful in pushing midwives out, will we then see interventions and caesareans become routine like they have become in Brazil and how will these routine interventions and caesareans affect women not only during their birth but in the long term where the Obstetricians have already forgotten their file number? Will the rights of childbearing women become invisible? Will bodily autonomy be non-existent, even though the lines of autonomy are already grey and fragile? If you look at the numbers of women that Obstetricians take on every month, anywhere from 50 women plus per month, you can see how careful planning and scheduling (AKA inductions) need to be implemented both for the hospital and all the Obstetricians who work at the same hospital to ensure their KPI’s are met. Inductions will need to be scheduled even more because Obstetricians will have a higher case load and they can’t just wait around for spontaneous labour – so how much quality time is given to each and every labouring and birthing woman, compared to an independent midwife? Women are already being conditioned by Obstetricians and led to believe that this is the normal way to birth. You have a due date, you get induced, you get hooked up to machines that go “bing” while you lay on your back and do as you are told. Women are being told they are too fat, too tall, too thin, your feet are too small and your baby is too big, you’ve got red hair, small hips, too old, too young, incompetent cervix and inadequate pelvis – you fail. Just be a good patient and we will do the rest. The caesarean rate all around the world is too high with the World Health Organisation stating that it should be between 10% and 15%, but in Australia it is up around the 33% mark and even here in Perth we have the highest caesarean rate in Australia with 57% at one private hospital. 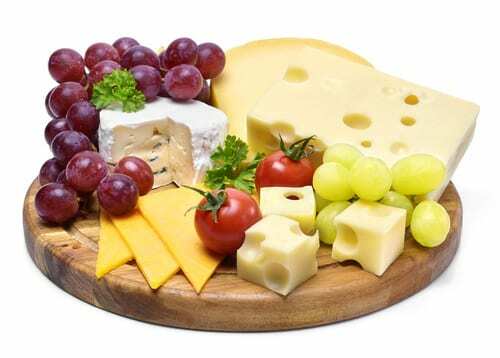 But it’s okay, all is not lost – let’s divert the real issues with 24-hour room service or maybe even a cheese platter. How about these private hospitals inject more funds into proper education on options, choices and alternatives available to birthing women, particularly because some of these private hospitals have a “not-for-profit” status – yes that’s right – NOT FOR PROFIT. Perhaps they could model Bunbury Public Hospital who are the first public hospital in Australia to offer women a “Comprehensive Complimentary Therapy Birth Education Program” for FREE. We need Obstetricians to stop sabotaging women’s desires to have a normal, physiological birth. Their body is not broken and giving birth naturally is the best way to bring a baby into the world. Stop putting women on their backs to birth because it is easier for you to see what is happening and more comfortable for you. Stop using machines that restrict women from moving and therefore restricts her baby from getting into the groove. Move with her and encourage her to love being in labour and giving birth so it is her greatest achievement in life and not something she looks back on as traumatic and fearful. Stop using outdated text books that state a woman should be dilating a centimetre an hour and start using encouragement and human interaction so you’re not a stranger. Negative conditioning, strangers and machines are not going to make a woman feel safe. If it isn’t broken don’t try and fix it. Look at the woman, encourage the woman, ease her mind, relax her body and chase away her fears instead of constantly looking at the machine that goes “bing” because she doesn’t need to be cured, she is not sick, she just needs to feel safe, so she can birth her baby in a calm way. And that is what midwives do. 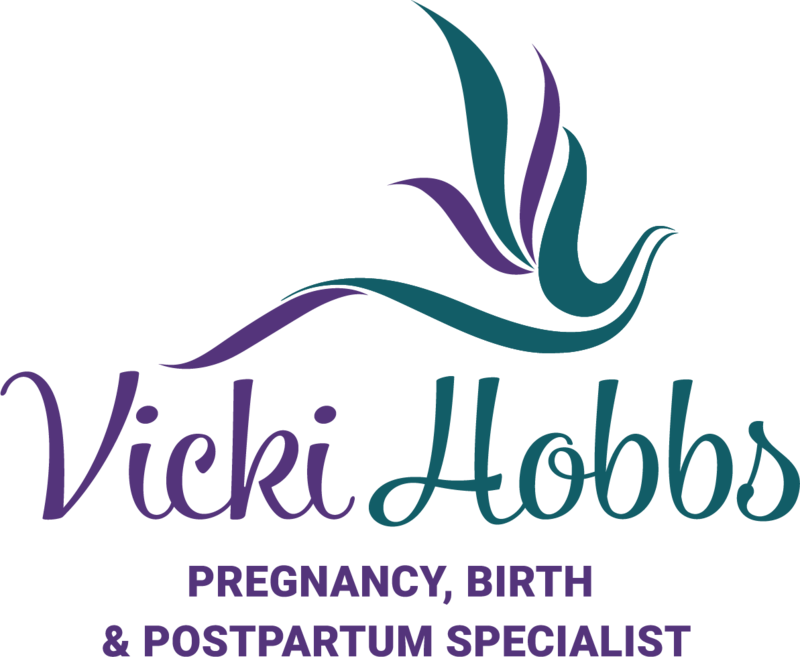 They are the experts when it comes to natural birth. Or will science continue to change what is a natural event where even those machines that go “bing” will become obsolete. We will have new experts in mechanical births where we wont need Obstetricians, midwives or even women – we will just have a mechanical uterus. 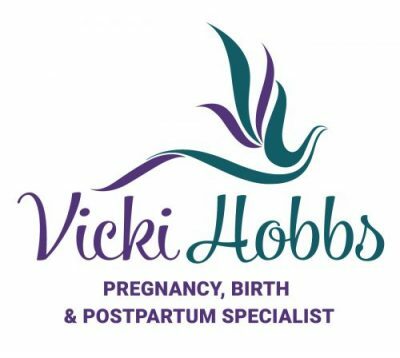 My name is Vicki Hobbs and I am a Childbirth Educator (Back to Basics Birthing), Hypnobirthing Australia Practitioner, Certified VBAC Educator, Remedial Massage Therapist specialising in Pregnancy & Postpartum Massage, Birth & Postpartum Doula, Certified Placenta Encapsulator, Hypnotherapist, Aromatherapist, Reiki Practitioner and Life Coach. I am a serial workshopper and learner, so that I keep up to date with new research and information so that I can provide you with up to date resources. My focus has always been on the mind, the body and the emotions and how they all need to be in balance for harmony. You can subscribe to my newsletter by adding your details in the box on the right-hand side and when you do I will send you a free relaxation meditation to help you feel calm and relaxed. I am based in the northern suburbs of Perth and can be contacted by email at [email protected] or phone (08) 9303 9111 or click here to go back to my Blog Page for more great articles and information. Just let me know where to send it! Even the best planned births don’t go to plan!